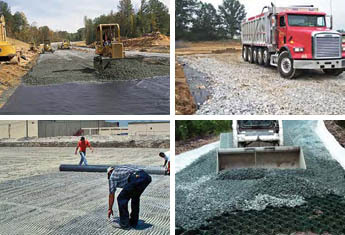 For low cost, geosynthetics can significantly extend the life of everyday structures by preventing the intermixing of subgrade soils and the aggregate base, and/or stabilizing poor subgrades. These were the very first applications of a geotextile in 1958. The fabric, which lies beneath various forms of riprap cover (i.e. rock, gabions and mattresses, concrete pattern-placed units, etc. 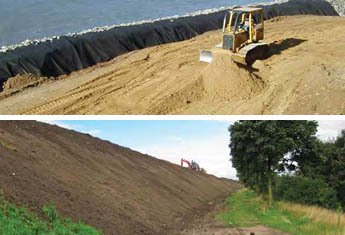 ), allows for free drainage of water while holding back fines thereby preventing shoreline and other erosion. 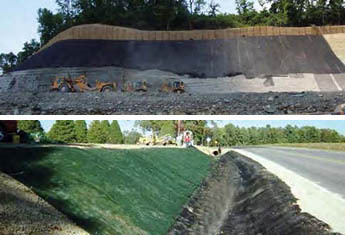 This is one of the most common applications of geotextiles in the construction of roadways, landfills, athletic fields etc, allowing for rapid removal of water or other fluids while providing excellent soil retention, assuring long-term free flowing drainage. 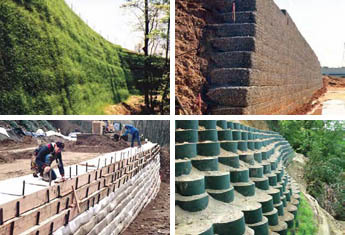 Common applications include earth dams, embankments on soft foundation soils, levees, highway embankments, landslide repair, landfills, dikes and levees. 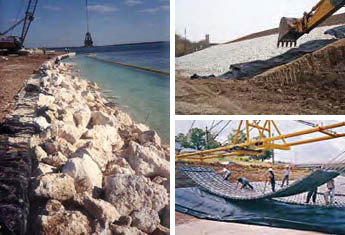 In 2006, the GX® Geogrid product line was developed specifically for this application, and delivers the most efficient Long-Term Design Strengths (LTDS) in the industry. Visit our website for full technical data including block connection test results. 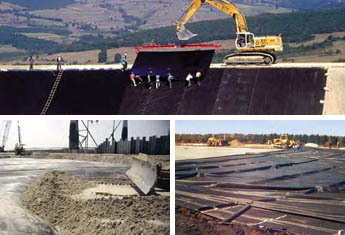 Several examples of cost-effective Mechanically Stabilized Earth (MSE) structures are temporary roadway detours, wrapped faced walls, highway bridge construction. 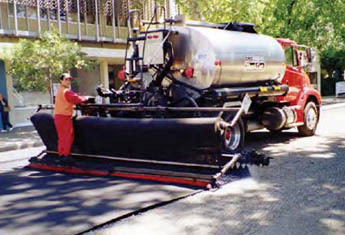 Asphalt overlay fabrics can extend the life of all existing paved areas. 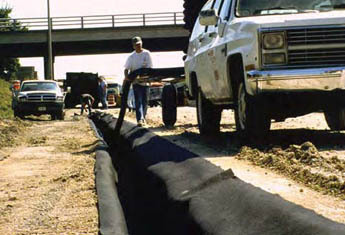 These specially manufactured nonwoven geotextiles are first saturated with heated liquid asphalt during installation, and creates a moisture barrier between old and new pavement. In addition, they absorb stresses to retard reflective cracking, thereby improving and extending the overall performance of the new overlay. Landfill and waste-containment projects utilize a wide variety protection, drainage, steepened slopes, vegetation/erosion control, gas venting and capping/closures. 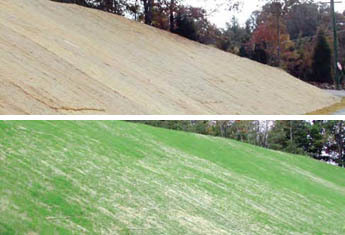 Erosion Control Blankets (ECBs) are ideal solutions for the short-term challenges of establishing vegetation in low to moderate erosion applications such as: subtle grades to steep 1:1 slopes; swales; moderate flow channels. 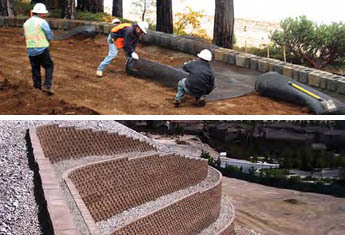 Turf Reinforcement Mats (TRMs) are for those moderate to severe applications that require both permanent and reinforced vegetation in addition to the immediate needs of preventing surface erosion while establishing vegetation. 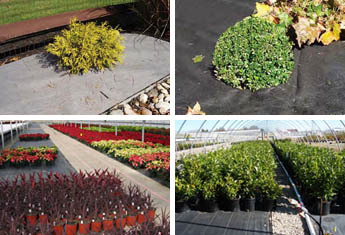 Landscape fabrics come in a variety of weights and types, from DIY all-purpose to the professional landscaper and nurseries. Their primary functions are separation and friction, weed block, moisture retention, patio/paver underlayment, and drainage filter fabric.